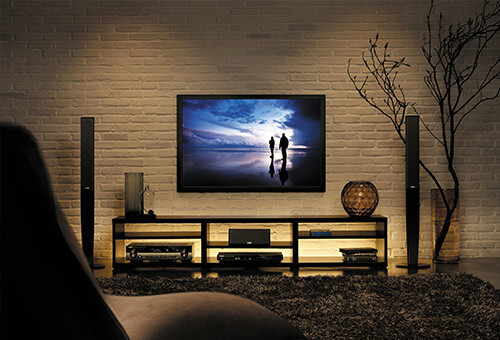 Creating the ultimate home theater experience starts with a simple conversation…and your imagination. Picture the perfect evening, is it a cozy night in with your little ones enjoying the latest Disney movie, or watching your alma mater’s team cruise to victory with your college buddies? How would you like spending an evening relishing the best of the Sundance Film Festival? Perhaps all of the above? 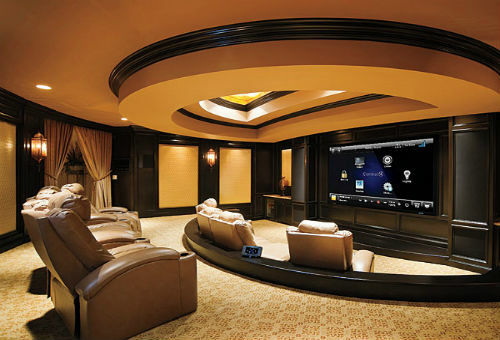 However you envision your home entertainment system, Synergy can design, provide, and install it. We will review each phase of the process; starting with the overall objectives and ending with the details. Together we’ll custom select the products and their installation features to suit, and to match the look and feel of your home. Whatever your cinematic expectations, this consultation with our home theater specialists will be the start of something big. Imagine music flowing through your rooms like light from the windows or cool air from the vents. That is what it feels like when the speakers are built into your walls or ceilings. It is easy and cost effective to incorporate in-wall and in-ceiling speakers when you're building or renovating a home. Give multiple listeners the option to enjoy different music sources. You don't have to listen to the same thing throughout your house anymore. You can play music from your personal library, over the radio, or stream from multiple internet sources. By incorporating a Control4 system, you can use your smart phone or tablet as a comprehensive remote control. Ready to plan the perfect system for your home? Call Synergy's expert system designers today. Synergy's Distributed video allows a single video source, like a cable box or a Blu-Ray player, to be shared between multiple TV's that are connected to a video switch. This can provide some pretty amazing advantages. The biggest of which is minimizing the amount of sources you will need for every TV in your house. Imagine pausing a movie in the living room, then starting at the same spot from the comfort of your bedroom. At Synergy, we want you to get the most out of your home. When you designate a space for entertainment and relaxation, we want to ensure that your space exceeds your expectations for a luxurious cinematic experience. 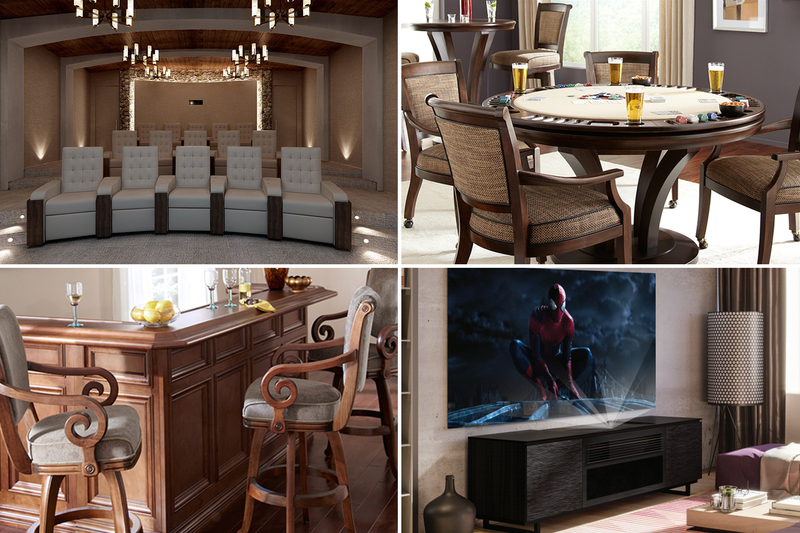 We partner with leading manufacturers to bring you the best in cinema seating, billiard and media furniture, gaming tables, and bar arrangements.